We’re excited to share our second of the new Culture with Travel interview series with Natalie Roos. Natalie discusses authentic local perspectives about her home, South Africa. Tell us a bit about yourself! Why do you love travel? How do you think travel unites us or teaches us more about the world? My name is Natalie Roos, I’m a blogger and traveler. I’m also a freelance creative, working with destinations to help them tell their story online. I love to travel because I love to learn. You can read about a place or a country, but once you visit it, you understand it. You understand the people, and that helps you to better understand yourself and your own culture. I also love food, so I love the way that traveling opens up a world of new flavours. Can you tell us something about the culture in your country and why did you decided to stay there? South Africa is so diverse, with 11 official languages and a cultural history steeped in Africa, India, South East Asia, The Netherlands… Not to mention the diversity in landscapes and nature. We’ve got the big 5 on land, two oceans (the Indian and the Atlantic) meeting at the Southern tip of Africa, waters teeming with ocean life, and climates ranging from dry bush to tropical beach. This is my home, and I consider myself lucky to get to live here. What surprising aspect of culture do you love about your country (or your specific town/city) that travelers may not be aware of? The food culture in South Africa is so vibrant. 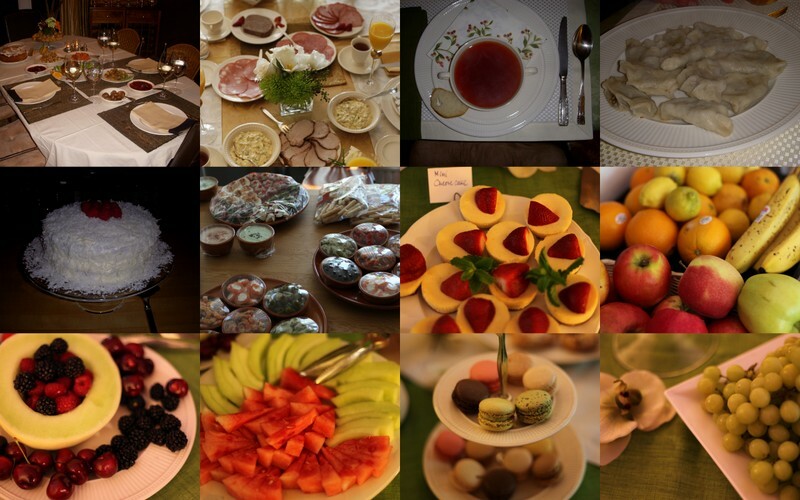 Every social gathering revolves around food, so there’s always something delicious to try. In recent years our food and wine culture has grown tremendously, resulting in world-class restaurants and award-winning wines being added to our offering every year. It’s definitely more than a safari destination – it’s the ideal place for foodies to come taste. Which dish do you feel best represents where you’re specifically from? Share a picture and tell us why you love it! Of course the South African “braai” (BBQ) is what we’re known for, but I love our Malay food. Curries and breyanis spiced with saffron, cardamom and cumin. These are the flavours that remind me of my own neighbourhood, Woodstock, where my neigbhour cooks huge pots of aromatic dishes for Muslim weddings and funerals. Growing up in your country, what’s something that you believe makes it unlike anywhere else in the world? Of course, it’s our history. While most of the world remembers our apartheid past and associates us with intolerance, growing up in South Africa over the last 28 years has shown me what it means to experience change, growth and forgiveness. With our sad past, I find that we look to the future with a real sense of hope and most of all, tolerance. Talk about the role of family in your life. What does family mean to you? Which family values are valuable to you? I am very close with my family, although we live far apart. I speak to my mom every day on the phone, and my sister and I are in constant contact. It’s very important to me to keep my family close, so we like to travel together and meet up for as many special occasions as possible. In 2015 our family got together in my sister’s home town of Melbourne, and in 2016 we are all traveling to Bali together for a family wedding. We hold each other to a high standard, and rely on each other for honesty and support. My parents instilled a fierce work ethic in us, which has helped us both to build careers and lives that we are proud of. How important is spirituality and religion in your daily life? What do you do to celebrate the two? I grew up in a religious home, but now that I’m older I take responsibility for my own spirituality. I’ve found that I have my own way of getting in touch with my spirituality, through community and making time to reflect. Share about a custom/tradition you observe. What makes it special? I grew up in an Afrikaans community, which has its own unique customs and traditions – and I don’t agree with all of them. But it’s nice to know where you come from, and have the freedom to observe the cultural norms you love. I’m not a very traditional person, but I really look forward to Christmas time every year, and I make a big celebration of the family time. We decorate a tree and spend Christmas day swimming and BBQing, followed by afternoon naps. Art and dance can tell a deeper story about local culture. Tell us the story of a specific artwork or dance that has a meaning for you. Share a photo, if you can. (It can be anything from street art to a festival to a painting to architecture to woven art work, to woodworking, a family heirloom, etc.) The neighbourhood that I live in is a hotspot for street art, with beautiful, colourful murals on almost every wall. It’s been interesting to see the effect the art has had on the pride of community and I love coming home and walking or driving past all my favourite pieces. Languages not only give us the power to communicate, but also can unite us across cultures. What’s something you love about the multitude of languages spoken in your country? Share a favorite saying you have, or teach us something in your native language. With 11 official languages, you can imagine how many wise African proverbs we have. I love the little quirks that visitors always pick up on, like the difference between “now,” “now now” and “just now”. There have been times where I’ve told a visitor I’d pick them up “now now” meaning “in a little while,” and they took it to mean “right this very second.” “Just now” could mean anything from “in a few minutes” to “before the end of today”. I love these little terms because they are so local, you’ll only really understand them if you grew up here. What local spot in your city/town do you love most? Why is it personally important to you? With all that Cape Town has to offer, it’s hard to pick just one spot. The beaches, the mountain, the winelands… But if I could spend the day anywhere, if would be on a small beach called Beta Beach, just outside of the city. It’s frequented mostly by locals, which means that any time I go there, I’ll run into someone I know. This is really what “home” means to me, somewhere that you can find a friendly face, any time. Who is the most inspiring person in your life? In which ways does this person inspire you? I’m so inspired by my friends and family. It’s incredible to watch people go through challenges and adversity, and to know their struggles. To watch the people around me grow and flourish, and to be able to support them really keeps me motivated and grounded. Have you ever met a stranger during your travels who made an impact on your life in a certain way, or maybe it was you who helped someone else? Share the story! I always love meeting people when I travel – it’s the best part! In 2013 I travelled to India for the first time, and I went by myself. I had a guide, Lakshmi, for my first two days in Mumbai and she touched my heart in so many ways. In those two days she took me under her wing and treated me like her own daughter. She taught me about the food and culture of Mumbai, gave me life advice and shared stories with me about her own marriage and family. It felt like she embodied everything I knew I was going to love about India. That openness, and willingness to care so much about someone you’ve just met. Unfortunately, stereotypes exist in the world. What are some common misconceptions you’ve heard about your country? What is considered disrespectful in your culture that visitors should be aware of? People always assume that South Africa is incredibly violent and dangerous, and I don’t blame them – that seems to be all the media wants to talk about. Then there are the “starving African” stereotypes too. But South Africa is so much more than a safari or poverty tourism destination. I think the one thing I want people to know about my country is that we LOVE visitors. We never get tired of meeting people who have come to see our country, and if we invite you round for dinner 10 minutes after meeting you, we mean it! 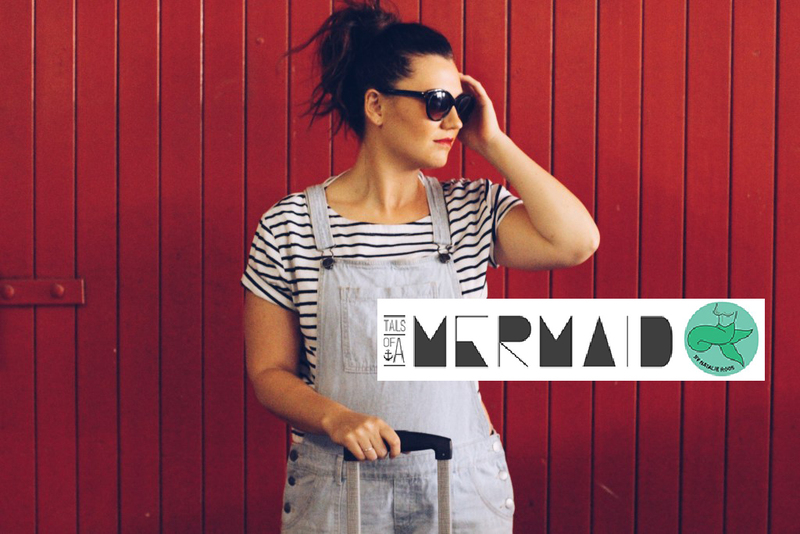 To follow Natalie’s travels, visit her blog, Tails of a Mermaid, and find her on Twitter, Instagram and Facebook!